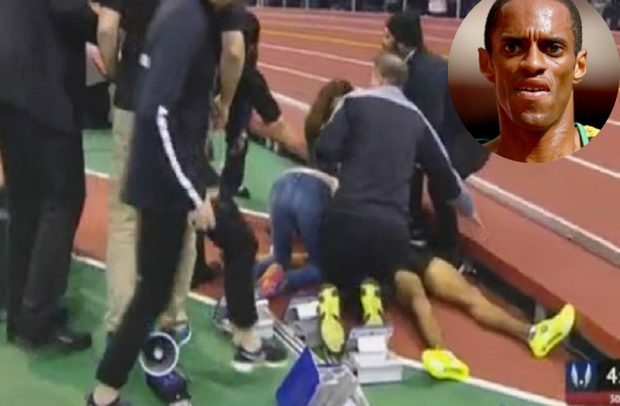 Jamaican distance runner, Kemoy Campbell, has been taken to hospital after collapsing during the men’s 3,000m race at the Millrose Games in New York. The athlete is in a stable condition in hospital. Ray Flynn, the athlete’s agent and event organiser, told BBC Sport that Campbell was being treated at the New York Presbyterian Columbia Medical Center. The Jamaica Gleaner, quoting Flynn, said the runner had to be revived by defibrillator before being taken to an intensive care unit. “We were all shocked to see what happened, but thank God, he is doing better. He has his girlfriend and his brother beside him,” he told the newspaper.